This 13″ platter started out on the wheel, and was trimmed when leather hard. It was wrapped in plastic for several days so moisture could even out, and then carved by hand. 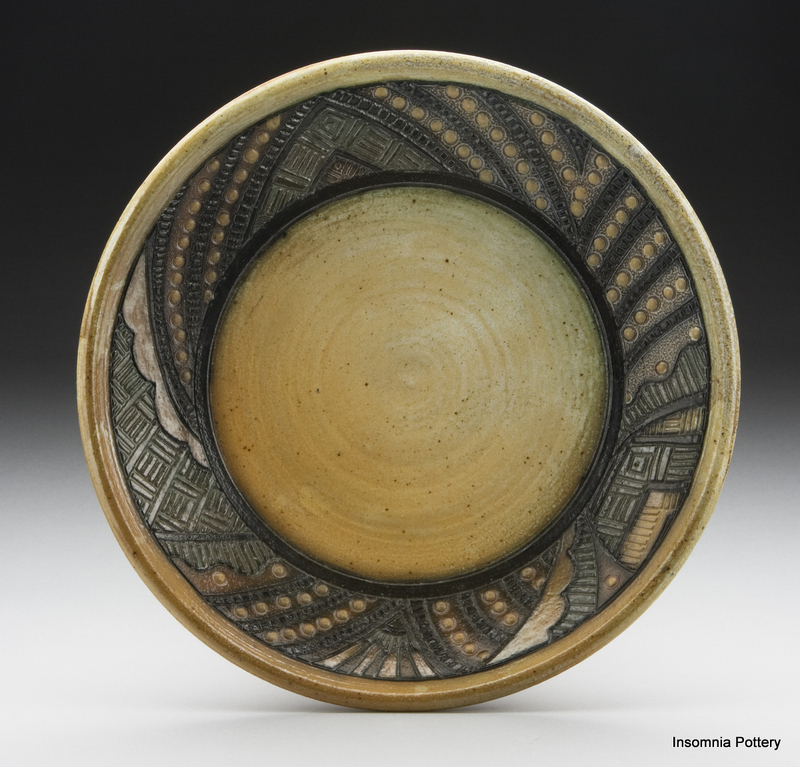 After bisque firing, slips were applied to enhance the design, and it was fired to Cone 10 in a salt kiln. $160, Sold.